Consumers have changed. And with those changes come new consumer journeys, competitors and collaborators. While these changes do not affect all industries at the same pace, most CMOs and CEOs wonder how to digitally transform their businesses. For many, bringing more traffic to their site either to sell or to generate new leads is a strategic imperative. But while many are masters at designing and managing traditional acquisition channels, they may be apprentices when executing a traffic generation digital strategy. In this post, I will share nine tips to help you avoid some common mistakes firms make when trying to optimize their digital traffic. Before starting to pour more money into SEM, Facebook Ads or the like, start analyzing your current digital assets and their conversion to sales or leads. Chances are you can significantly improve conversion without spending money on third parties. It’s no coincidence that large digital companies still spend money on “old school” advertising like TV, radio or billboards. Even today few digital media can be as effective as traditional methods in creating brand awareness and positive associations – the two key ingredients for building brand equity. If you build a powerful brand, it will drive more direct traffic to your site, which results in cheaper SEM and stronger SEO . And you create entry barriers for future competitors. Top managers understand that building a new retail outlet can be quite expensive – but see it as an investment. Yet many of them are reluctant to invest in a state-of the-art website, when it could indeed be their most important outlet. And the place where many customers start their consumer journeys. Everyone is talking about it, but few are taking the lead. In virtually every industry, mobile use is on the rise. But many still start thinking in desktop when investing in new digital assets. Think mobile first! For those who think marketing is only for creative people, think twice. Digital marketing is getting increasingly sophisticated. The most advanced marketers invest in thousands of keywords, optimizing them with complex and sometimes obscure algorithms. They test dozens of copies in their campaigns, and use several media at the same time. Optimizing that investment is key. So if you have the money and the data, a question pops up: Do you have the talent to analyze it? 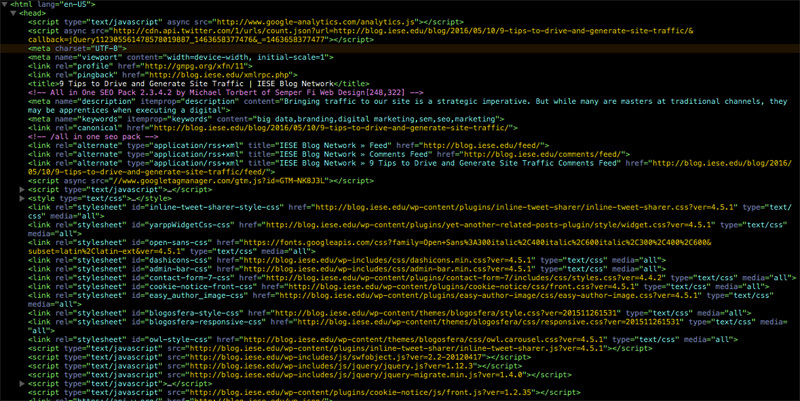 SEO is also getting tougher – especially for those who want to outsmart Google. But Google makes mistakes too, and your site could be unfairly punished. SEO will take a lot of time – and in some sectors firms without powerful brands SEO could become a “mission impossible.” However, if your product or service is competitive in the physical world, chances are there will be plenty of opportunities to bring organic traffic to your site – if you do your homework. Large companies often fall prey to unprofessional agencies that may even be doing more harm than good to your traffic – and economics. When you hire an agency your role is not to do their job, but you need to learn to evaluate them. You must learn to ask tough questions, scrutinize who is working for you and how many hours they are spending on your digital assets. Also, keep in mind that agencies are like any other business— they need to make a living. So if you pay them with peanuts, expect to get monkeys’ work. Big data is in fashion right now. But few know how to master it – which takes time. Building a good attribution model, properly analyzing conversion, and extracting actionable insights from torturing your database are not skills that come easy or quickly. Big data needs long-term commitment. It will be expensive and take time. But, if carried out successfully, it could represent a tough to copy competitive advantage. 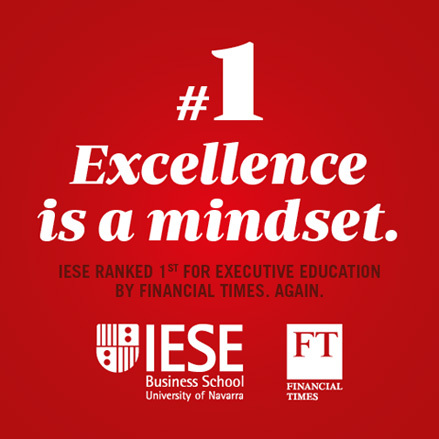 Julián Villanueva is the Head of the Marketing Department at IESE Business School. He holds a Ph.D. in Management (Marketing) from UCLA, a MBA at IESE, and a B.A. in Economics (Universidad Complutense de Madrid). I’m glad that i find this helpful article..
but one of stuffs that i am not seeing that here in the list, is Content marketing. as you know better than me, content is the base deployment thing in today’s web. I want to get informed what is your opinion about content marketing strategy and what benefits it can offer to me? I agree with you. Content mktg could be one important source of traffic, if done well. Thanks for replying to fast. could you please advice me some great books in digital marketing industry? My current career is in seo industry and i like move to digital marketing career as soon as possible. cause somehow i am freak about digital marketing(cause i feel that would be so powerful all over the world,specially in my country -IRAN- ( that is unfortunately many years back from rest of the world!) but i am supposed to do world class from here,and somehow start from zero to hero! what would be your best advice to someone like me?